The original formula is still in use with one invaluable extra commodity which adds vital elements to the feed. “FCC” as the concentrate is known, is such a firm favourite that winners all the way from sprints to Barcelona use it in their preparation, adding it to coarse oatmeal as shown in the instructions on every package. 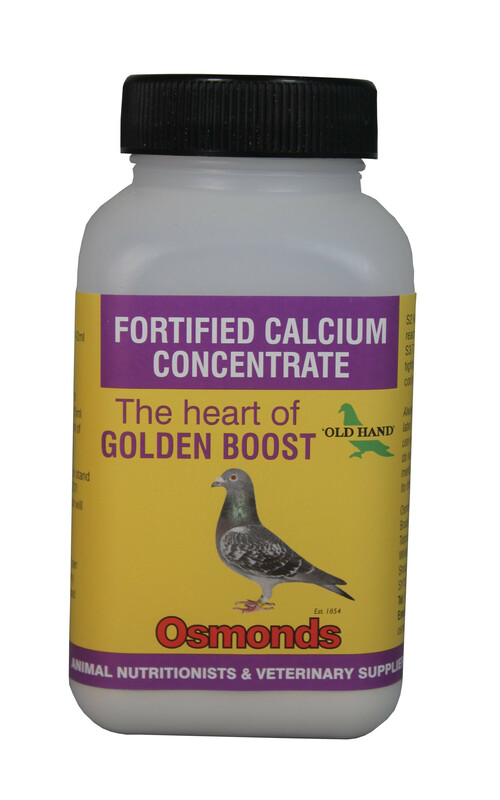 The final product is widely known as “The Golden Boost”. It has many imitators but no equal! 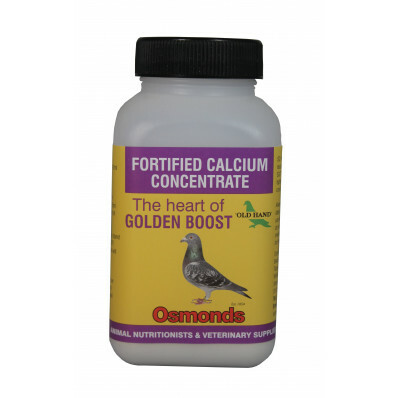 PLEASE NOTE: Fortified Calcium Concentrate must be mixed with other ingredients to make the finished product called Golden Boost. Mix the above mixture thoroughly and allow to stand overnight. You now have GOLDEN BOOST. When dry, the mixture may tend to be crusty but will crumble easily. Feed 10g per pigeon per day.